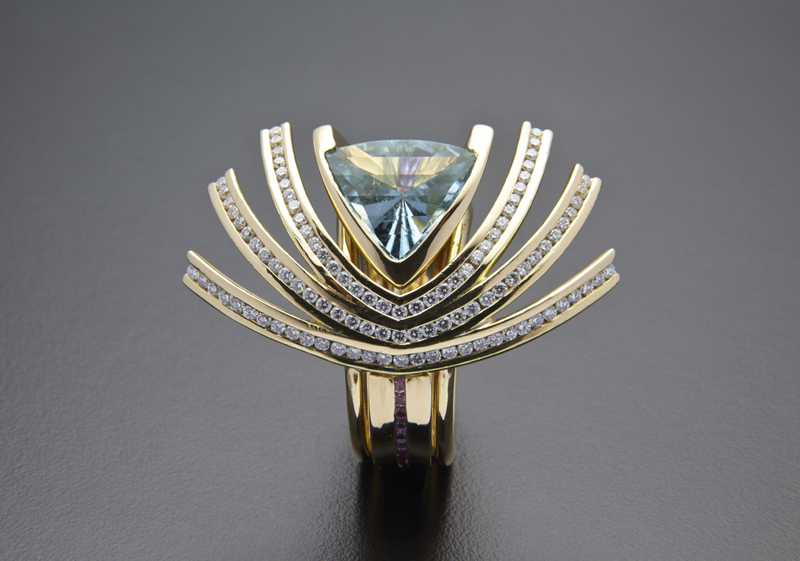 18kt yellow gold, triangular dragon-cut paraiba tourmaline, pink sapphires, white diamonds. This was a simply stunning and very rare gemstone. It brought us back to our very first Embrace piece which also inspired the customer. 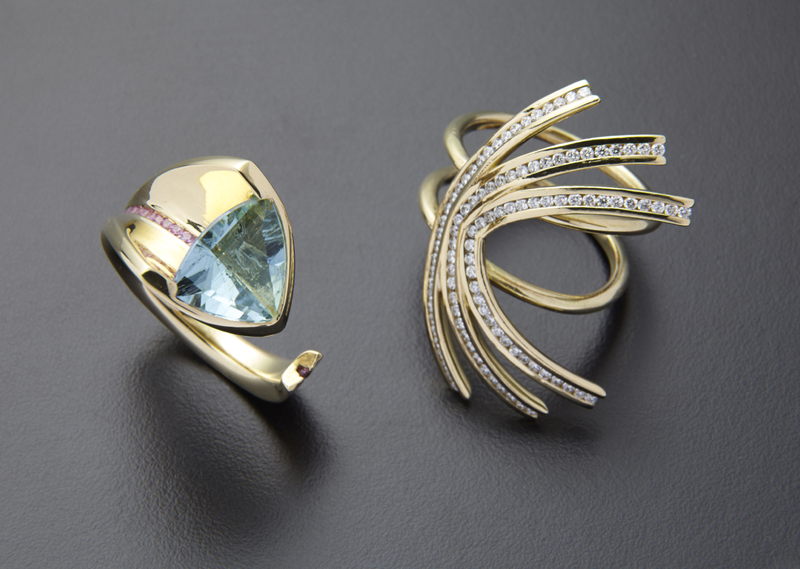 It felt like a meteor or comet as it arched over the finger, so as a statement accent we went with a bow wave of diamonds echoing the shape of the stone radiating out.